It occurred to me this week. 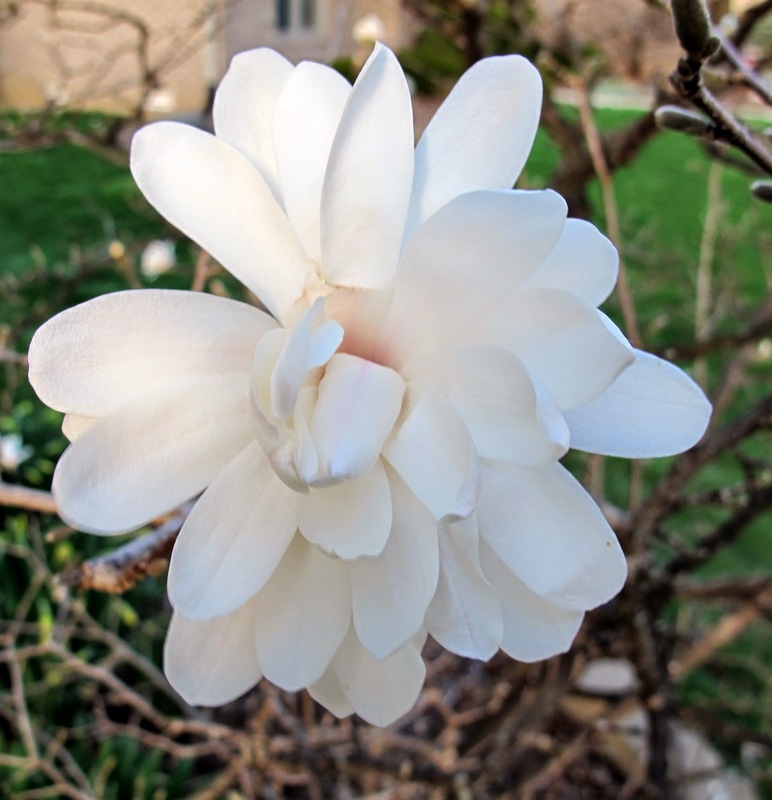 When the star magnolia (Magnolia stellata) blooms, it is generally time to mow the lawn. Now that I know this, I won't have to actually look at the lawn to decide when I should mow it for the first time. I'll just mow whenever the magnolia blooms. I will look at the lawn to decide if it is ready for the first mowing. But I won't look until the magnolia is blooming. In other news, I'm posting another garden fairy selfie. Oh, look, a little garden sprite photo bombed it. I don't write much about garden sprites. I really don't know much about them. They are a bit shy and tend not to be out when people are out, but I suppose this photo op was just too tempting. You can't stop a garden sprite if they decide to jump into a garden fairy selfie. My own Magnolia stellata is blooming at peak right now; but the warm season prairie grass is still a month from needing any mowning! 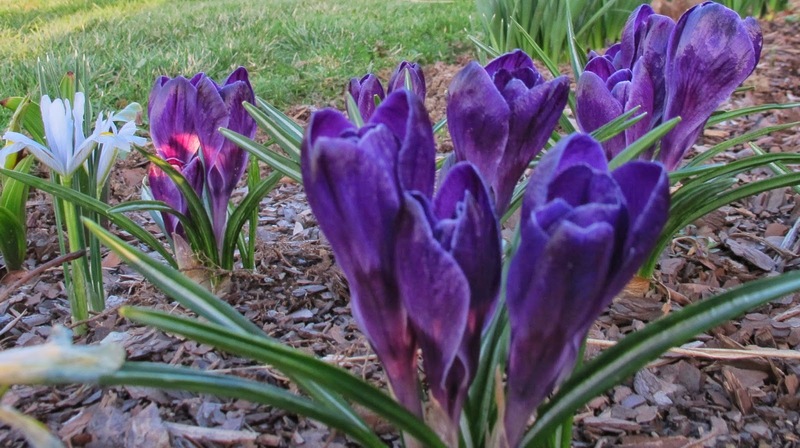 The presence of the sprite explains the sprightly color of the crocus. What a deep blue!